Materials: Metal (iron) chromed frame. 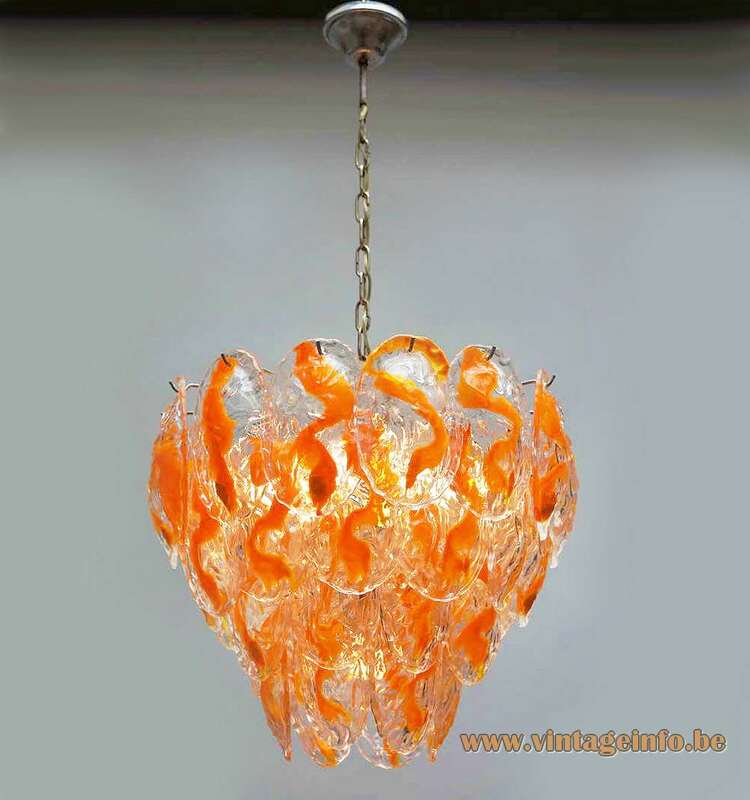 40 clear and orange crystal hand blown Murano glass leaves. Bakelite sockets. 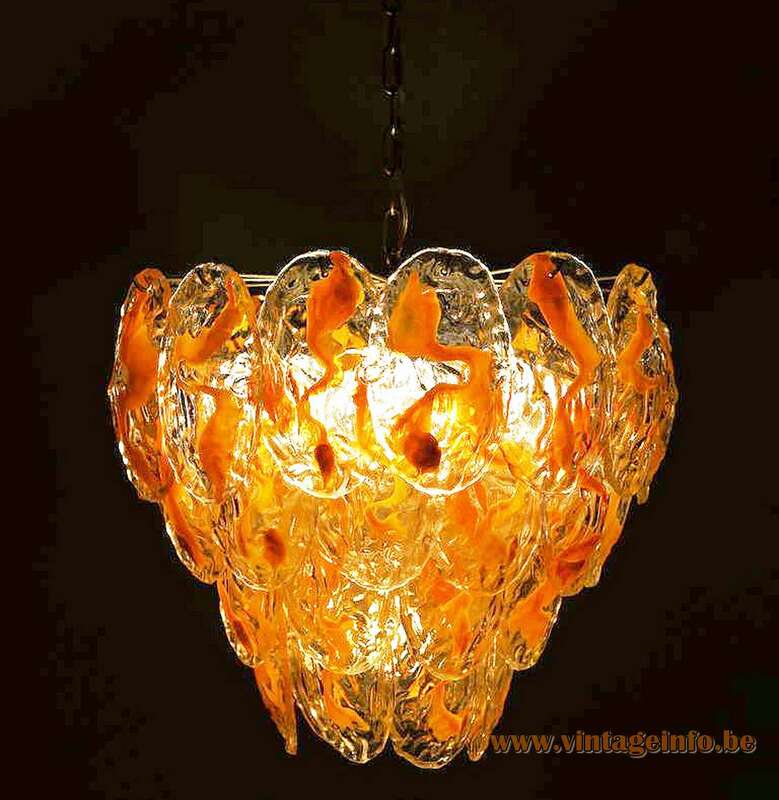 Electricity: 12 bulbs E14, 12 x 40 watt maximum, 110/220 volt. Period: 1960s, 1970s, until today. Manufacturer: AV Mazzega, Murano, Italy – attributed. Other versions: Bigger and smaller versions, different colours, different leave forms. All these leaves were hand blown and therefore all unique with a little difference in height and width. 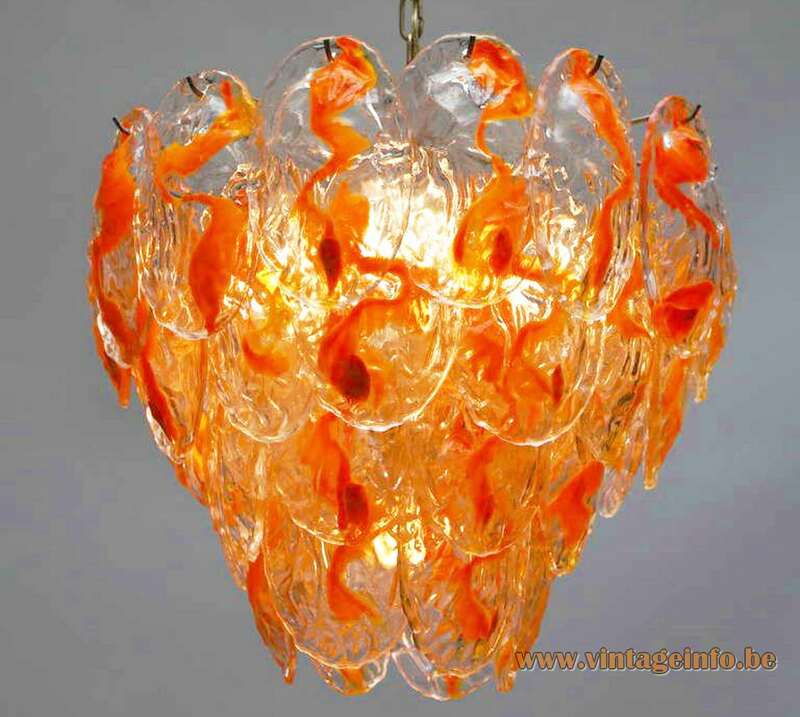 This chandelier is from the 60s or 70s, but these type of chandeliers were made for many years and is a typical product from Venice/Murano. 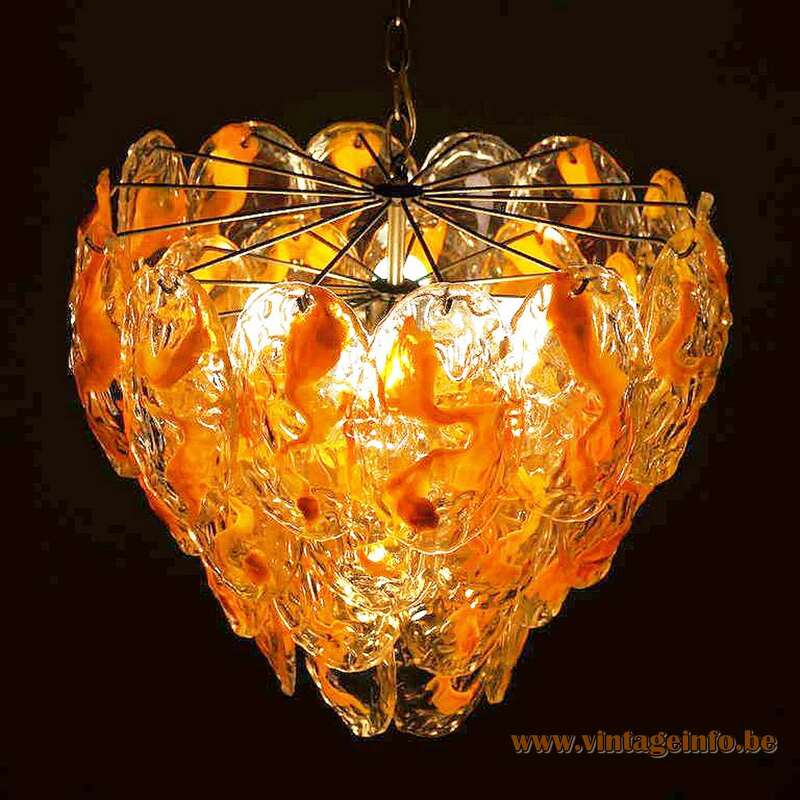 Always said that it is a chandelier made by AV Mazzega, but several companies produced these type of lamps with glass leaves hanging on a metal frame, though the AV Mazzega company is most likely the maker. 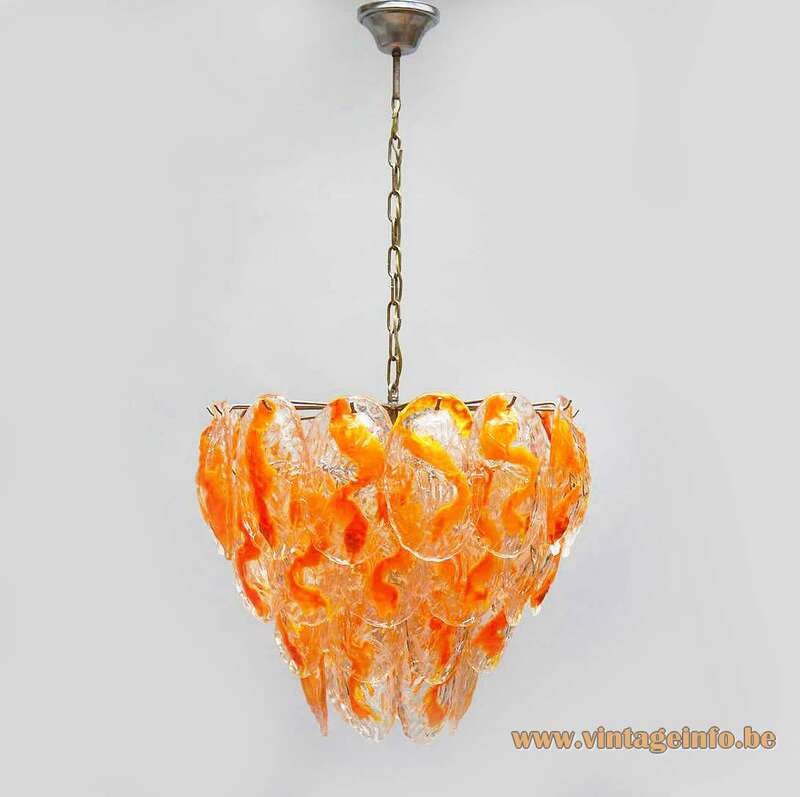 AV Mazzega produced numerous chandeliers with glass plates hanging on a metal frame. 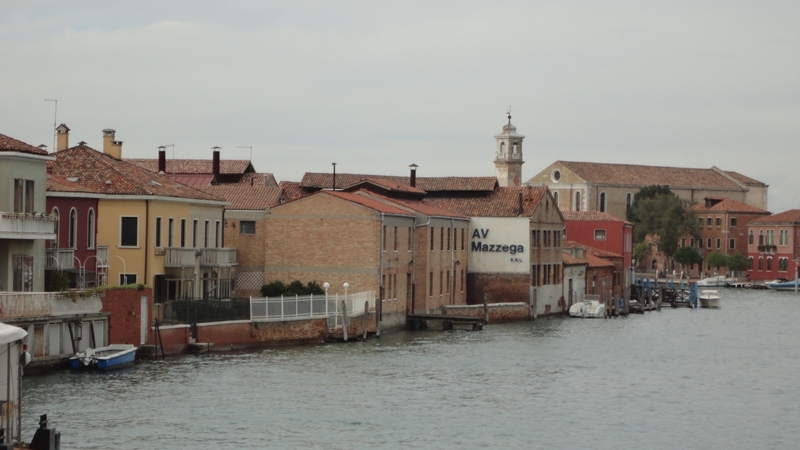 Other companies that produced these type of lamps on the Murano island are, amongst others: Barovier & Toso, Antichi Angeli, Mazzega (not to be confused with AV Mazzega), Novaresi and many others. 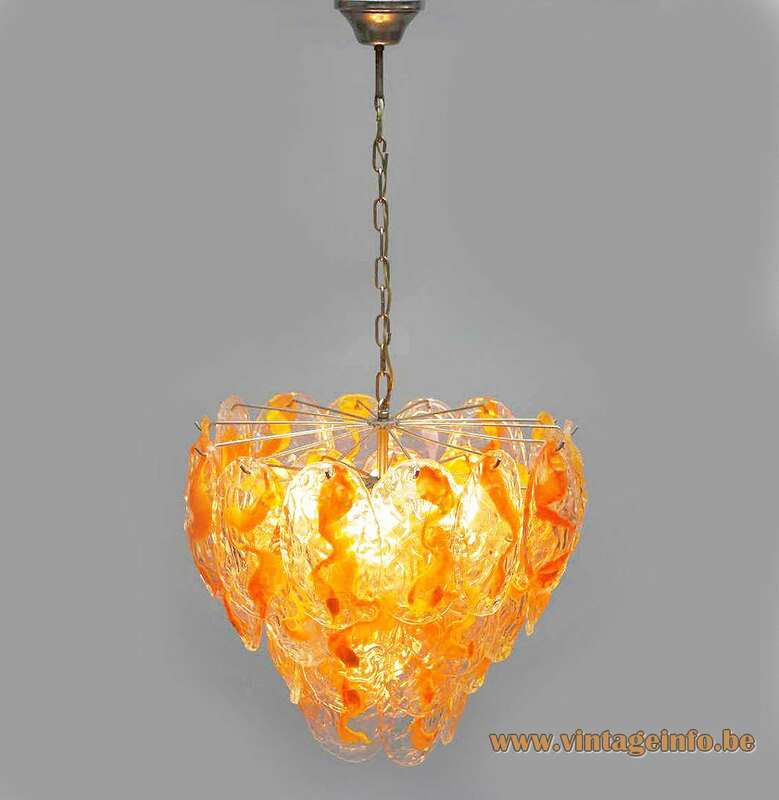 Chandeliers such as this one are still for sale. You can find them on several websites. 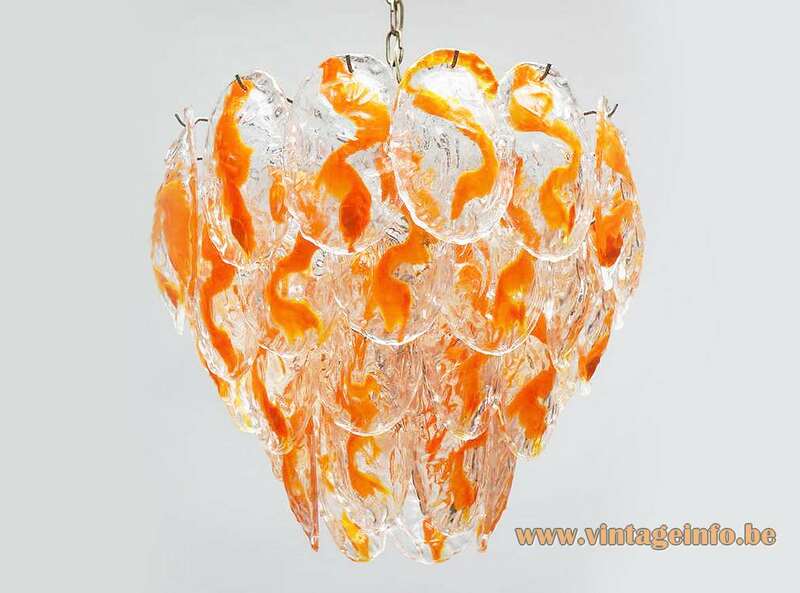 Some companies are specialized in producing spare parts for new and old Murano chandeliers. For instance Italian Light Design produces every type of glass parts. 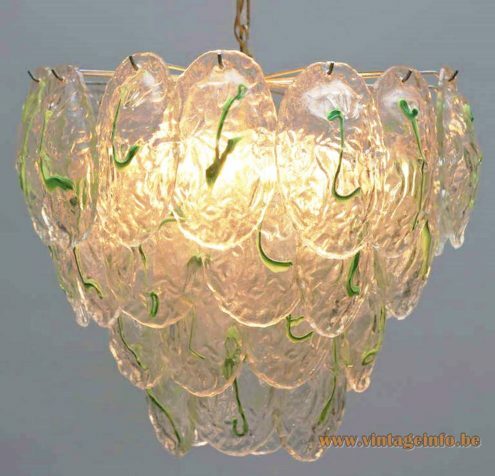 Below a green version of this glass leaves chandeliers.